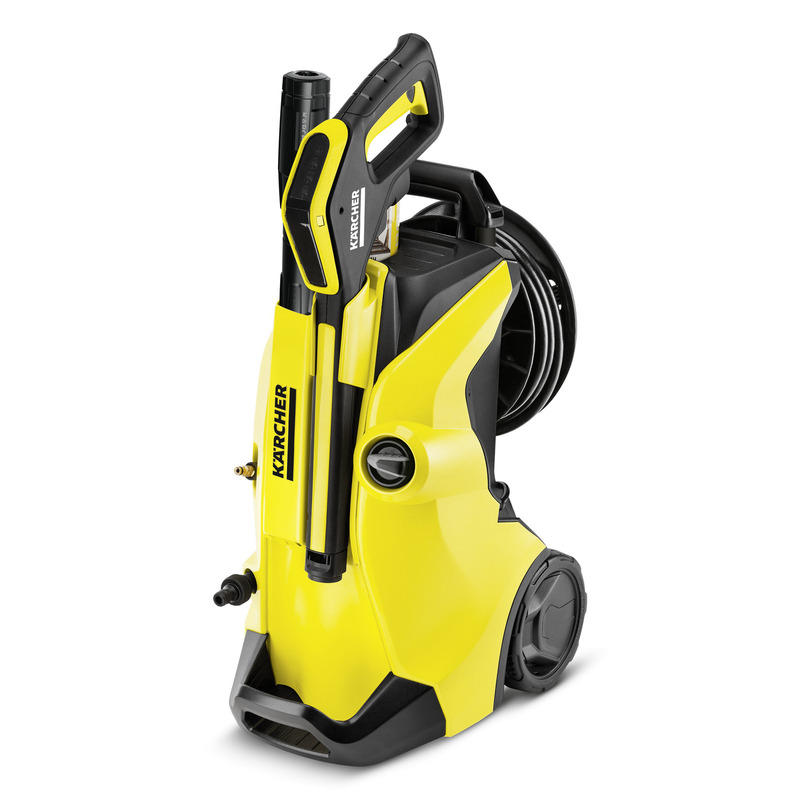 K 4 Premium Full Control Home 13241030 https://www.kaercher.com/tn/home-garden/pressure-washers/k-4-premium-full-control-home-13241030.html Pressure washer with pressure display on the spray gun – for the right pressure for every surface. Incl. hose reel and Home Kit. Ideal for moderate dirt. 30 m²/h area performance. Pressure washer with pressure display on the spray gun – for the right pressure for every surface. Incl. hose reel and Home Kit. Ideal for moderate dirt. 30 m²/h area performance. 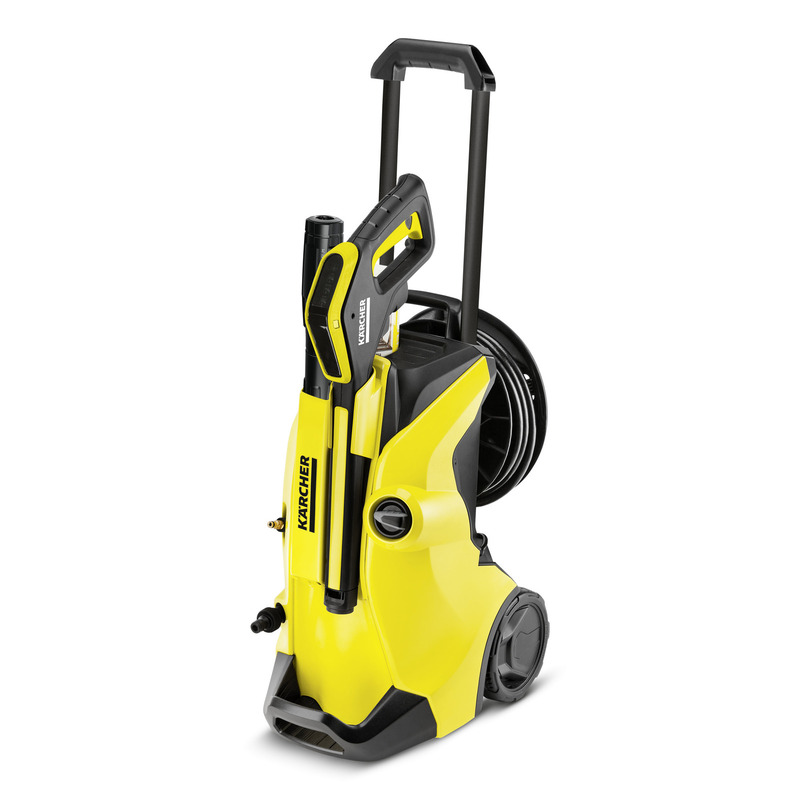 The pressure washer with hose reel for occasional use on moderate dirt. For an area performance of 30 m²/h. Incl. 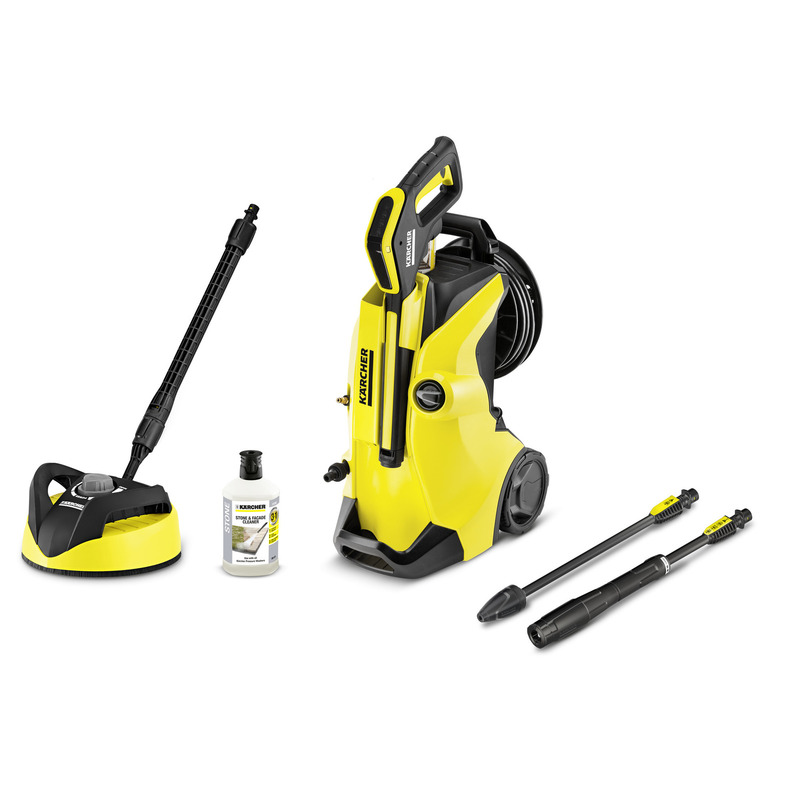 Home Kit with T 350 surface cleaner and 1 litre of 3-in-1 stone cleaner. 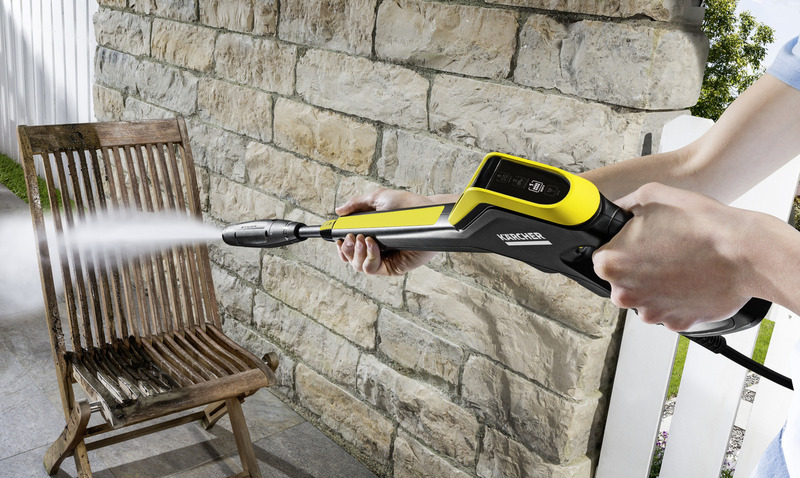 With the Full Control pressure washer, you can find the right pressure for every surface. The pressure level can be adjusted on the spray lance and can be checked on the spray gun with LED display – for maximum control. Changing from high-pressure mode to detergent mode can be done without changing the spray lance. The spray gun is within easy reach and can be temporarily stowed together with the spray lance during short breaks. Thanks to the height-adjustable telescopic handle, you can move the device at a convenient pulling height and store it so that it takes up less space. And the easily accessible Plug 'n' Clean system means you can change the detergent in one quick and easy step, seeing the filling level at a glance. The pressure washer impresses further with a lower centre of gravity for more stability, the practical hose guide and a stable stand. The stand can also be used as a second carrying handle, which makes the device very easy to lift onto a shelf or load into a boot.